Generating Contextual Narratives: Test_01 from Mark Selby on Vimeo. Generating Contextual Narratives is a project, made in collaboration with Mike Golembewski, about exploring ways of generating more experientially and contextually appropriate narratives. The broad concept here is that current technological trajectories suggest a future where all data is captured indiscriminately and profusely, and so it will become harder and harder to engage with records of experiences in personally meaningful ways. Rather than ‘total capture’, the recording of everyday experiences might be tied more closely into the enactment of those experiences through the objects that we use to do so. The resulting data (photos, texts, sounds etc) are contextually specific to the events that they depict, allowing for more meaningful narratives of those events to be constructed and consequently, enable more meaningful encounters with memories of experience in the future. 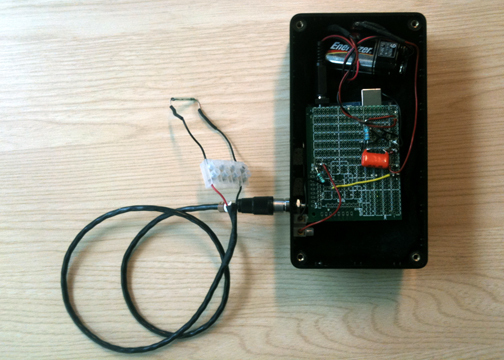 Bicyclopse (working title) is the first (rough) prototype in a series of devices that investigate how we might use technologies to achieve this. 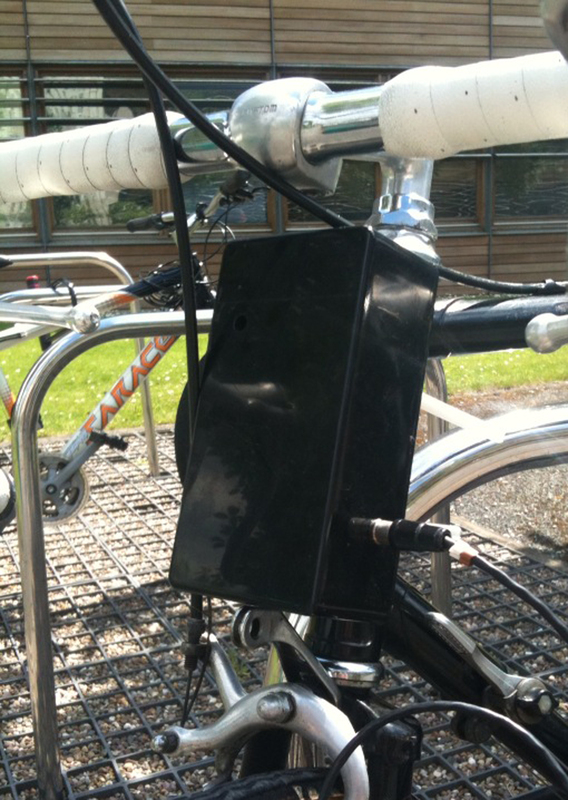 It’s a camera made with an arduino controlled iPhone running a custom application mounted on the front of a bike. 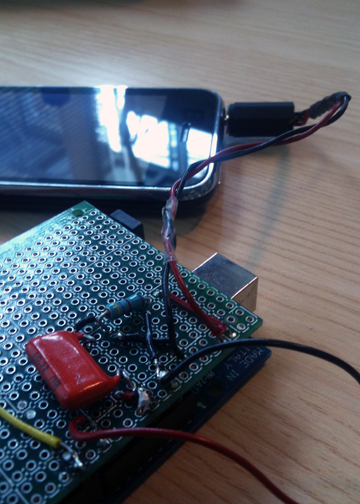 The iPhone’s camera is triggered by a tone sent fron the arduino everytime a reed switch attached to the bikes fork is closed by a magnet on the front wheel. This means that one photograph is taken for every revolution of the front wheel. These still photographs are then compiled to make a film. Visual and temporal distortions of the video narrative are determined by the function of the bike – as the bike speeds up, the rate of capture increases and so the footage appears to slow down. Visual distortions occur when the bike turns a corner or is ridden over a rough patch of road. This is caused by the quick movement of the camera, and the way that the iPhone camera’s CCD is scanned from side to side (See Wikipedia for explanation). In combination, these effects give a point of view specific to the bike and the way in which it is ridden.